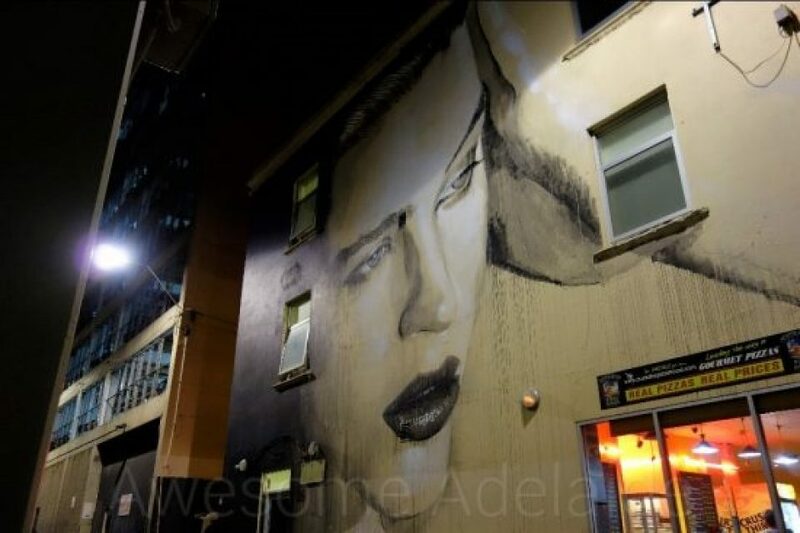 Commissioned by the Adelaide City Council, Melbourne artist Rone has created this epic piece of artwork for the 2013 Adelaide Oi You! Urban Art Festival. It can be found on the corner of Woodsons Ln and Bank St. Take a look!